Is There Danger Adrift From Modern Day Pirates? Pirates have gone from sailing to surfing. Surfing the Internet that is. 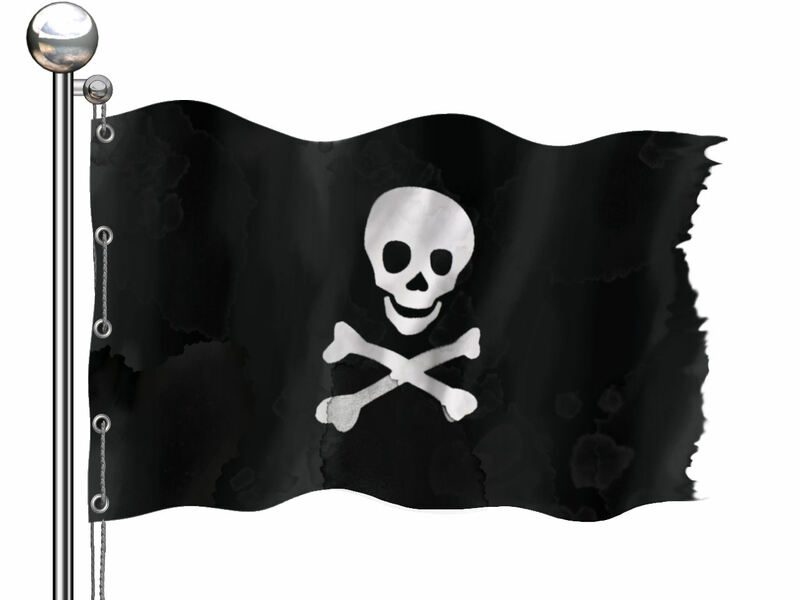 They are no longer found sailing the open seas, but rather pillaging materials, many of which are copyrighted, off of the Internet. Modern day pirates are able to steal copyrighted materials because they hide behind the mask of an anonymous IP address. These anonymous pirates steal music, t.v. shows, computer software and electronic books every day. Ø BitTorrent is used to distribute large amounts of data over the Internet. It is a communication protocol that allows peer-to-peer sharing. o The BitTorrent system is vast and used by close to 200 million users around the world per month. Ø Seeding is how peer-to-peer sharing begins. It occurs when one user on a BitTorrent communications protocol makes a file available for all of the other peers on the system. o Peers typically do not get a whole file from one person. Small amounts of a file are downloaded from many peers. Ø IP address creates an anonymous identity on the Internet. It is made up of a unique and long string of numbers. Every computer attached or connected to the Internet has a unique IP address. 1. Hire a specialized investigator. Every copyright infringer on a BitTorrent system has an IP address because they are connected to the Internet. The investigator locates all of the IP addresses that are committing copyright infringement on a BitTorrent system. 2. File the lawsuit. When the original complaint is filed, it will be a “John Doe” lawsuit because although the IP addresses have been identified there are no names attached to those addresses. 3. Subpoena Internet Service Providers. Every Internet Service Provider keeps records of their users IP addresses. The Internet Service Provider will be able to attach names to the IP addresses. 4. Amend Complaint. After the names attached to the IP addresses are located, the attorney will need to amend the complaint to add those names. Once the amended complaint is on file, there are many potential roadblocks in this type of litigation. A few of the roadblocks for plaintiff’s attorneys are outlined below. Ø Anonymity. The individual who is attached to an IP address because they are the person who has an account with the internet service provider may not be the individual who was using the computer when the copyright infringement occurred. A visitor, friend or even a hijacker could have been using the account. Ø Joinder. BitTorrent users are not restricted to one state or even one country. BitTorrent users are all over the world. Additionally, defining what the “same transaction” is in these types of cases is extremely complex. Ø Court Polarization. Courts are split on how they move through these cases, and the results are unpredicatable. Copyright infringement cases against BitTorrent users can be complex, but by staying up-to-date with the technology used and understanding the procedural process plaintiff’s attorneys can be successful in this type of litigation.